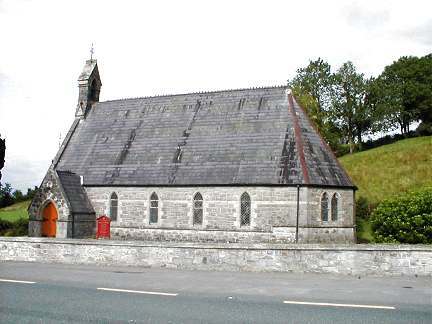 Belturbet, the Drumalure Anglican Church. © Jack Storey. Killeshandra, St. Brigid (R.C.). From an old postcard in Reg Dosell's Collection. This postcard was badly faded, and has had to be heavily processed to produce the present image. Link. 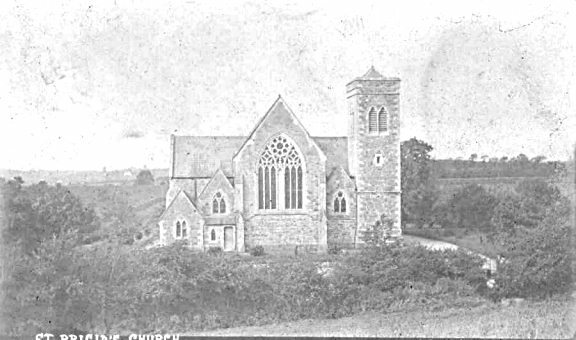 Kilmore, the cathedral, known as the Cathedral in the Country. 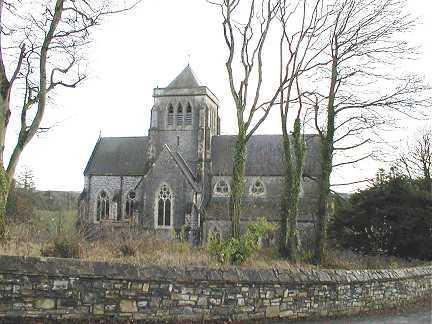 Jack tells me that this is the burial place of Bishop Bedell, who first translated the Old Testament into Irish Gaelic. A tree he planted (in 1643) is still standing in the graveyard. © Jack Storey.